Hello! 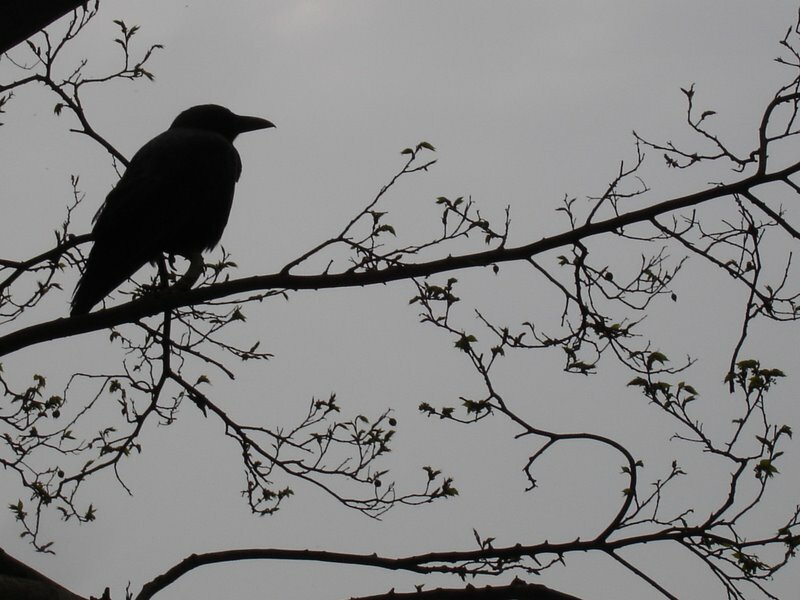 My nom de plume is Raven which is either (a) glamorous and mysterious or (b) a harbinger of doom depending on your viewpoint! In reality I am but a humble bookseller (17 years and counting) and this is a selection of reviews and crime news from one criminally-minded reader to others. I spend all my free time reading and reviewing books across a range of genres for many major publishers and online sites, but after first reading Raymond Chandler and Ed McBain at the tender age of 12, crime novels have a special place in my heart and so decided to concentrate my blog on the essentially criminal and, what is to me, the wonderful world of crime writing… Read more about the development of my taste for crime fiction here at Marina Sofia’s excellent blog: Finding Time To Write- What Got You Hooked On A Life of Crime Raven? (Official)FTC Disclaimer: In accordance with the new FTC Guidelines for blogging and endorsements, Raven Crime Reads would like you to know that while I do purchase some books for review, you can assume that the majority of the books reviewed here were sent to me by the publisher or author. Unfortunately, I am unable to commit to reading books in e-book or PDF format and physical copies are usually preferred. As always, receiving a book from a publisher or author in no way guarantees a review, and I will always give my honest opinion about a book. I will endeavour to read all the books I receive, but am always at the mercy of a backlog with working full time as well, so some patience may be required. And I do receive a lot of books. Hi Raven, would you mind if added your blog to http://friendfeed.com/crime-and-mystery-fiction. Several of the subscribers follow your blog and like your reviews. As do I, now. Hi Raven, I run Europa Editions’ UK office, I’d love to send you some books from our world noir list…. may I get in touch by e-mail? Many thanks! Hi Daniela! Thanks for getting in touch. Have emailed my contact details to you…. Hi Raven, I work for indie publisher Scribe Publications and I wanted to get in touch about a book we have coming out soon. Get in touch if you’re interested at all! Hi Linda! Thanks for your interest and if time allows in the next few weeks I will revisit your request. Currently labouring under a significant backlog of reading as receiving more commissions each day for upcoming releases. Have made a note of your book for future reference. Many thanks, Raven. Appreciate it! I work at Titan Books and we’d love to send you review copies of our crime books. If this is something you’d be interested in, please email me. Hope you’re well! And hope to hear from you soon. I work for Souvenir Press – I was wondering if I could have your contact details to send you some review copies? Love the site!!! Along with Crime Book Club and Crime Fiction Lover, it’s makes my trilogy! I was wondering if you would like me to send me a copy of my debut novel Hellbound. It was released on the 28th November, but always keen to seek honest opinions if you have the time…given Crime Book Club and Crime Fiction Lover have read it, it only seemed fair!!! Bought I Am Pilgrim based on your review!! Looking at this page I guess you’re not short of a book or two. Still, I’d love to add to your tbr pile. If you accept digital copies could you possibly shoot me an email? Had the pleasure of meeting you today. Thanks for your time and hope you have a chance to read Black Buddha, my Laos-set crime thriller. Hi Beverley! Thanks for stopping by the blog and introducing yourself 🙂 I’m a little over-subscribed at the moment but having had a sneaky peek at your books, I will pop you on my wish-list so bear with me. Hope you continue to enjoy my reviews! Having seen your answer to Beverley I think I know the answer to this one already… I have a trilogy of London-based crime novels coming out together in a couple of weeks, featuring a rogue DS called Eddie Kane. Is it possible for you to take a look with a view to doing a review of the first book (when time allows)? It’s called ‘Act Of Contrition’. I’d be really grateful for any input. I have a review request. It concerns a supernatural short ebook thriller called Armageddon’s Arc (of approx 67 pages). I’ve just had a crime novel published with Horizon Publishing Group in Sydney, Australia. I was wondering whether you are reviewing books at the moment or you are able to get in contact to talk about it more. I appreciate your time. I’m writing in the hope I might persuade you to read and review my crime thriller, Acqua Morta, which is the first in a planned series featuring Commissario Domenico Martelli. I hope Acqua Morta appeals to you. If it does then let me know your preferred format and your email address and I’ll get a copy to you as soon as possible. The second book in the series – Santo Spirito – will be published in early 2016. I’m writing to you from Dead Bird Press, a small press based in Cardiff, and would like to send you a copy of a recently released novel for review. ‘The Death of Danny Daggers’ is a very contemporary British murder mystery by an exciting new Welsh author, Haydn Wilks. Please contact me if you’re interested. Reading the comments above it looks like you’re a little over-subscribed but I just wanted to tell you about our upcoming book so you can pop it on your wish list if you fancy. The Starlings & Other Stories is a collection of twelve tales of crime and mystery by Murder Squad & Accomplices. Murder Squad are, if you’re not familiar with them, Ann Cleeves, Martin Edwards, Margaret Murphy, Cath Staincliffe, Kate Ellis and Chris Simms. Every story in the book has been inspired by the Pembrokeshire collection of Welsh photographer David Wilson. If you would like a copy let us know and we’ll get one sent out to you. I’m a newcomer to your site, Raven. I’m an indie writer, I’ve published 5 novels on Amazon – 4 are crime novels, two different series, currently two in each. I would love to send you one – I do understand your review will be honest, but I’ve had good reviews and think you may like my work. Getting exposure is so hard for independent writers, having even one of mine on your site would be amazing. I understand if you are unable, I’ll enjoy your reviews of other novels anyway – and add, no doubt, to my ever increasing TBR list! Did you know that we have top crime authors coming to the Radio Times Festival, occurring at Hampton Court Palace this September? We have names such as Tony Parsons, Lynda La Plante, Mark Billingham, Anne Cleeves and James Runcie. See the full programme so far at radiotimesfestival.com/programme. The Radio Times Festival will be a celebration of TV, radio and books. In it’s inaugural year, the event will take place on 24-27 September at Hampton Court Palace and will feature some of the best names in broadcasting, leading authors and latest book releases. Further details of the event and show listings can be found on our website radiotimesfestival.com. Hi Raven. I’d love to submit my book ‘Nine-Tenths of the Law’ for review, not that it looks like you have a lot of time at the moment. It’s definitely on the dark side and a little different. HI Raven, I’d love to send you a copy of my debut mystery, The Hanged Man’s Noose, published July 2015 from Barking Rain Press. You can read more about me and my book at http://www.judypenzsheluk.com. Thanks! Hi Raven, I have an e-book I’d like you consider for review. Bloody Legends was published at Amazon in November, 2014 and I can send you a free copy or you can read it for free on Kindle Unlimited at http://amzn.to/1zlxO93. It’s a Horror Thriller story about a vicious serial killer who perpetrates the most violent and gory murder crimes staging famous urban legends. Thank you for your time. Would you kindly consider reviewing my e book, ‘Speedy Emi’, a crime fiction story based on true events in the life of a Hungarian lady. I would forward link details for a free download if required. I’ve just written a new crime thriller novel set on the streets of London. We are very excited about it and would love a review, do you have any contact details? Hello Raven, we’d love to interest you in a newly published mystery/crime/police procedural/drama set in Dunedin, in the south of New Zealand. I’m happy to furnish you with an ebook (preferably), or hard copy. Hi Penelope. Thanks for stopping by. Unfortunately I am unable to accept ebook submissions at the current time but wishing you all the best with your book. Best, Raven. hope things are good with you. Can I please add a review request to your backlog. It’s a crime noir novella. Hi Math. Thanks for stopping by. Unfortunately I am unable to accept ebook submissions at the current time but wishing you all the best with your book. Best, Raven. On January 19th 2016, I published my second crime fiction novel, ‘The Perfectionist’. In a nutshell, the Perfectionist is the name of a serial killer with a gruesome yet unique modus operandi who has flown under the FBI radar for 20 years. The story’s main protagonist, however, is a veteran journalist who seeks to track the killer down while aiming to publish a best-seller and keep the glory for himself. Would you be interested in receiving a complimentary copy of the ebook and writing a review in exchange? Looking forward to knowing what your thoughts are. Hi Simon. Thanks for stopping by. Unfortunately I am unable to accept ebook submissions at the current time but wishing you all the best with your book. Best, Raven. Would you be interested in having a look at a Delhi crime novel published last year by Penguin India? it’s called “Dead Meat”, and is available in the UK on Kindle. Hi Ankush. Thanks for stopping by. Unfortunately I am unable to accept e-book submissions at the current time but wishing you all the best with your book. Best, Raven. Hi Raven, I’m Sarah from Impress Books and would love to email you in regards to some up-coming crime novels we are publishing. Would this be something you are interested in? Hi Sarah! Think I’m already on your contact list as you’ve sent me a copy of He’s Gone! Thanks Mallory! Have emailed you…. my crime noir short story collection ‘Histories of the Dead and Other Stories’ is released tomorrow through All Due Respect Books. Is it possible to send you a print copy for review? I’m writing on behalf of The Pigeonhole, the book club in your pocket. We have some really exciting books coming up in the new year – and unique way of reading them. Would love to tell you more about them! I’m from Quercus Books and I have a brilliant Vancouver crime novel that I’d love to send your way. Is there any chance I could have your contact information? If it sounds like something you would be interested in, I’ll have an advance review paperback sent to you. No urgency with any review either. I understand you’re probably swamped, so whenever you could fit it in would be fab! I can’t I haven’t already followed your blog on WordPress. I think your blog is great. Looking forward to reading more posts! I have recently published a book and am seeking reviewers/bloggers that would be interested in my novel. I’m reaching out in a hope that you would like to read my debut book, “Jack the Ripper: Live and UnCut”. Despite being fiction (thriller), the feedback from publications in the Ripper Community have been overwhelmingly positive. The Whitechapel Society, Ripperologist Magazine, Redjack and The Dagger: True Crime Magazine have all awarded my book 5 stars. I wish to expand on that review base though as I am looking to prove that this is a real page-turner and to be enjoyed by all thriller readers. This subject is well trodden ground but based on the reviews I have received I believe this is a book that is above the pack. Despite my work being a debut, and I am an unknown author, I believe this book is worth reading. Please let me know if you are interested, and in which format you would like to receive a complimentary copy. Whether you’re a Ripper fan or not I believe, if you enjoy a good thriller, you will enjoy this novel. I look forward to hearing from you, Happy New Year! I don’t think I will, thanks. Happy New Year! Hi there, I would love to email you about a book I would like to send over – is it possible to get your contact email? Thanks! Thanks for ‘like’-ing the review of my novel BURNING MATCHES on swirlandthread.com. My name is Gene Desrochers and I have a Caribbean Noir Mystery coming out in a few weeks from Acorn Publishing in San Diego. Was wondering if I could send over an ARC with the understanding that you have a huge backlog, but would love your honest review some time in the future. Thanks for the consideration. Last year you were kind enough to review my novel LEGACY from Impress Books. Later this week, if all goes well, my e-novel FOUR DAYS TO TRINITY will be published by Endeavour Books. I don’t know if you review e-books, and was wondering if you’d be willing to give it a look. I can provide the proof I was sent for corrections. Hope to hear from you.